To me, Thailand stands for beautiful islands with everything you wish for. The locals make you feel very welcome. Who doesn’t dream of white sand beaches, cheap cocktails, nice shops, jummie food and a smile of friendly people.. I will give a description of the Islands I did visit with some nice suggestions for you! I had to visit Koh Chang Island, due to stunning pictures of jungle spoiled hills and beautiful beaches. 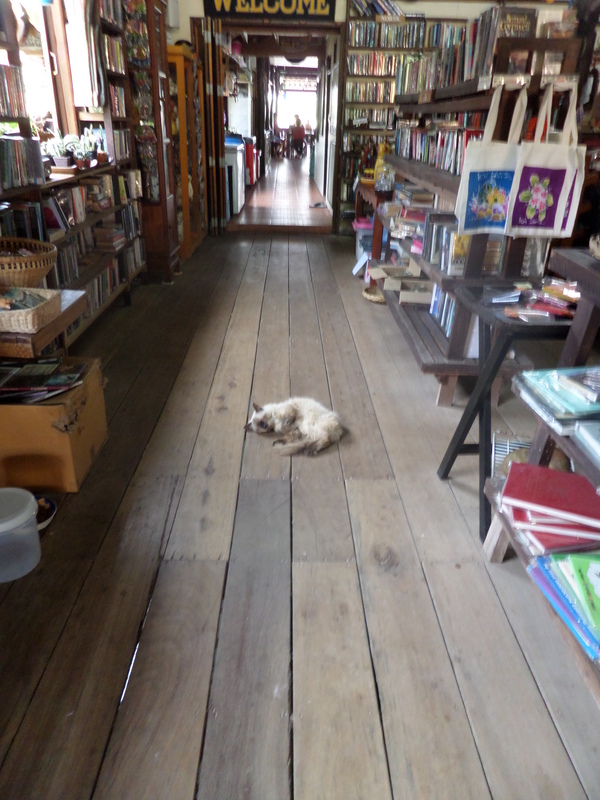 My expectations came true: Koh Chang indeed is very much of my stuff! 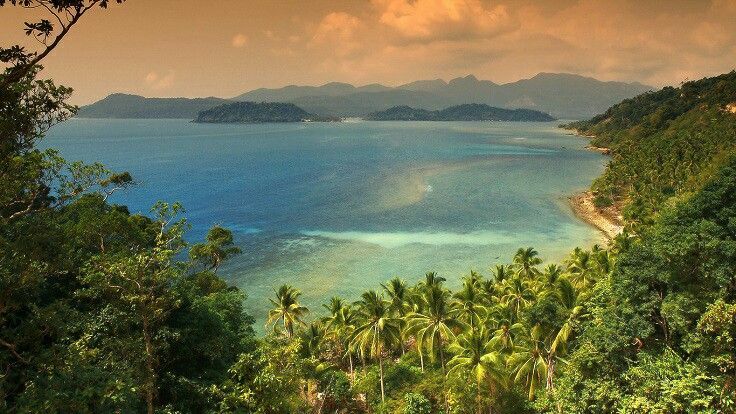 The possibility to go on adventure by yourself combined with dense pretty jungle and beaches… I love it!! We stayed on Lonely beach, the backpackers hub. I found it a little too much party here, but if you stay a little away from the centre, you will not be bothered by the music. Lonely beach is a cute village with nice restaurants (try Mr. A and Joy Cottage) and shops. It’s also a good point to discover more of the Island like making a waterfall hike close to Kai Bae village (very nice!) and fisherman village Bang Bao. 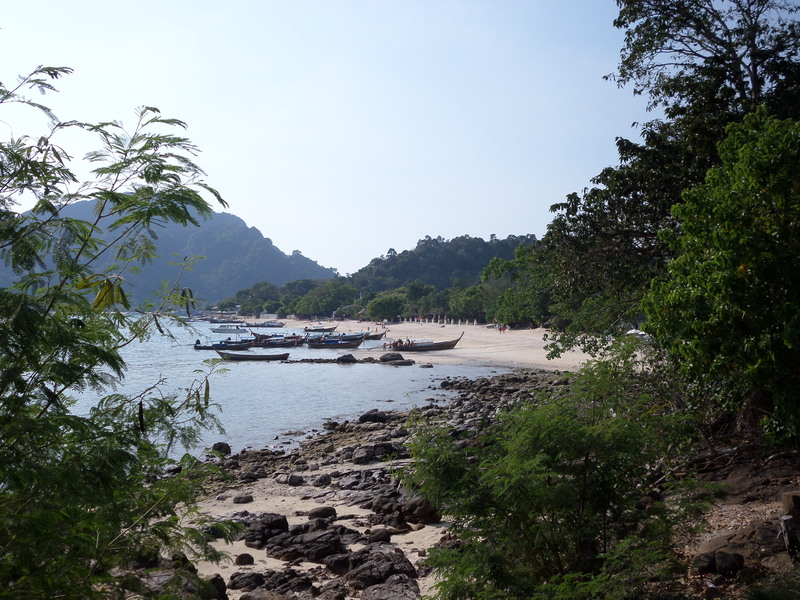 One place really stole my heart: Klong Koi Beach (Bang Bao beach). Easy, pretty, small but not too small and peaceful. Just Perfect. I will definitely stay here if I go back once. From Bangkok International airport it’s very easy to take a direct shuttle bus to Koh Chang’s Lonely beach (return ticket 900 B/ €24). On the island you can take taxi’s or rent a scooter (150B/day) to get around. Koh PhiPhi is my baby. Although stated as a party island, I find the atmosphere here unique. There’s such a relaxed vibe going on, you will find nowhere else. Same with the endless small streets filled with bars, restaurants and (boutique) shops. Maybe because of the perfect shape of the island and the lack of cars, PhiPhi does feel like a world away. Due to the always overly filled accommodations, I had to stay on Long Beach, this time. Ok, it took about 50 mins walk to the main area every night, but I couldn’t be bothered by it. Long beach was one beautiful surprise! Great for sunbathing and snorkelling. The walk to the centre wasn’t that bad either, you pas various nice bays. There’s one party beach with several bars playing (the same) music. It all stops around 1 am, so it will not go too crazy. 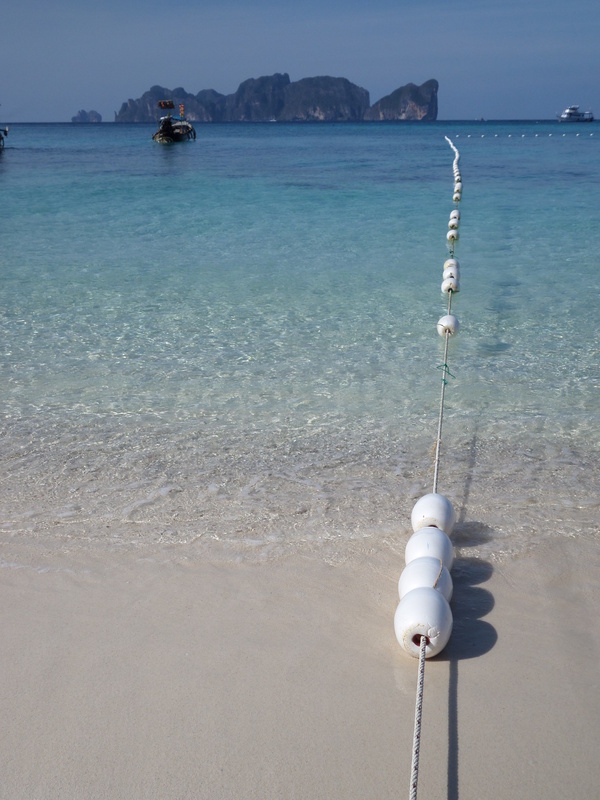 If you want to dive: PhiPhi is your place. A hike to the viewpoint is also recommended. And, very important, book you place far in advance (> 2 weeks) if you want to have some choice. Coming from Koh Yao Noi travelling direct to Koh PhiPhi, was a bit of a puzzle. On Yao Noi from Tha Khao Pier, we took a ferry to Tha Lane pier (or Thalen pier) in Krabi region (120B, 1,5hr). On the pier a Songthae taxi waits to bring people to Krabi town Busterminal (100B, 30min). In the Bus Terminal a ‘nice’ person immediately comes to ‘help’ you and offers a bus-ferry ticket to PhiPhi for 450B. I think we made the boat of 10:30 (2 hrs). On PhiPhi pier longtail boats wait to bring you to your hotel (100B pp to Long beach), or you can walk. A complete different island. 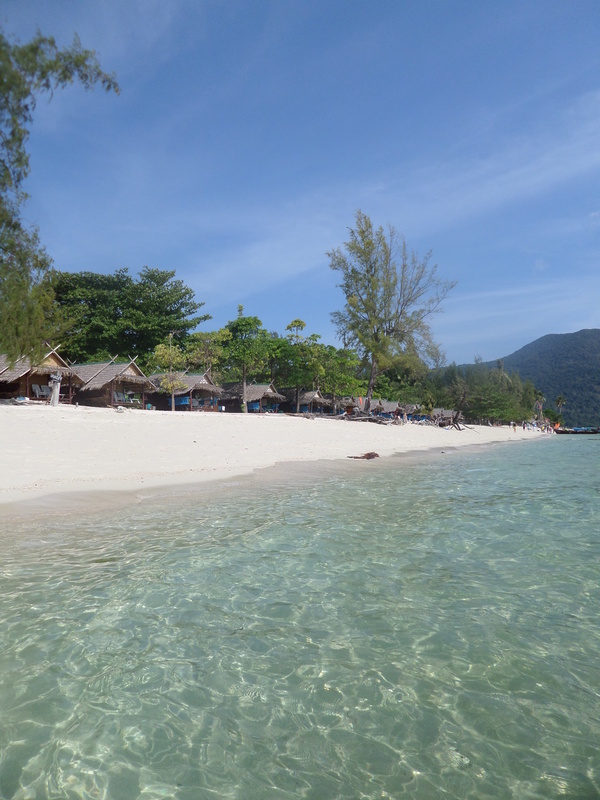 I stayed around the main hub (Long Beach) and found it surprisingly less tropical here than on other Thai islands. As in, no white sand, clear blue waters and waving palmtrees but instead a far stretching orange coloured beach with pine trees and a rougher sea. 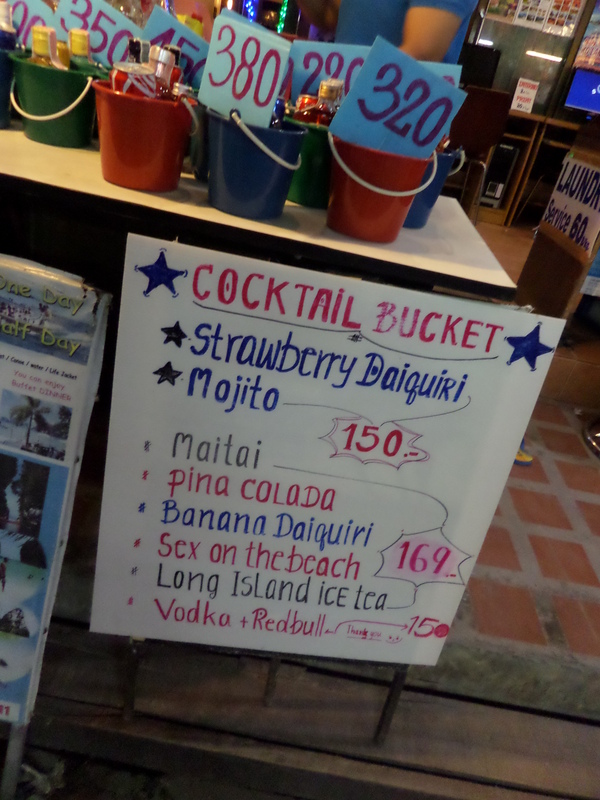 Maybe because this, Koh Lanta attracts less tourists. You will find here a very relaxed vibe. Everything around Long Beach is really diffused, so It took me a while to find the ‘ centre’ of Long Beach. But here it is: behind Mr. Wee Pizzeria at the beach side, and from the main road behind the gym (northern end Long Beach) you will find some alternative hostels and bars, a supermarket and eateries. Every night another club offers a party. The atmosphere is great and music is (mostly) good. I had the best time on friday night at Fusion club on the beach! Don’t forget to go shopping or have dinner in the picturesque village of Saladan. There’s also a very cute animal welfare centre for cats and dogs, worth checking out! Further south you will find more tropical beaches and a marine park. There are also some caves to explore (300B/1hr with guide) and of course you rent a motorbike (120B/day) to explore and tour around the island. 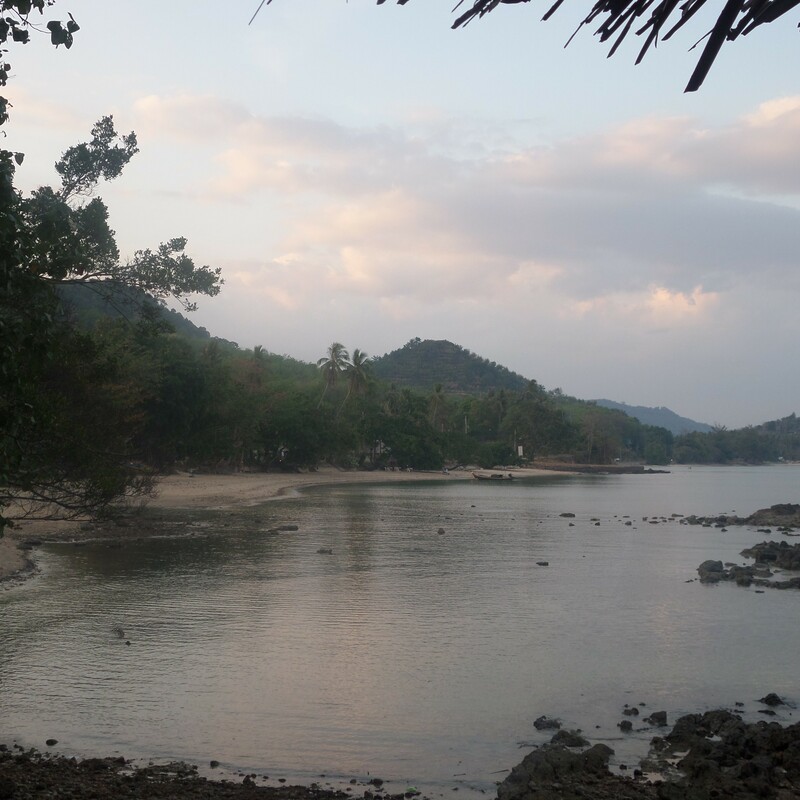 I really enjoyed staying on Koh Lanta. Nature might be less impressive, but atmosphere is very good. 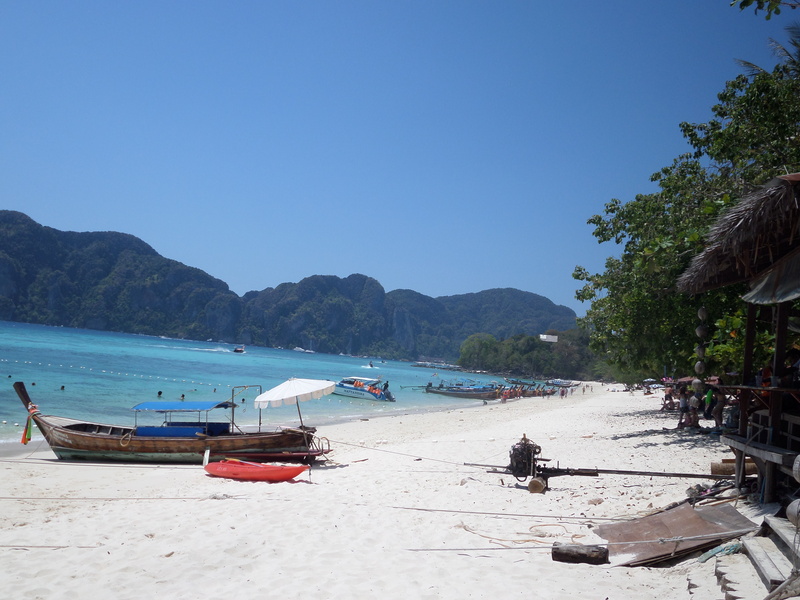 Going from PhiPhi island to Koh Lanta is the most easiest. There are so many places that offer ferry tickets… We found one for 250B . The ferry drops you in Saladan village, from here a taxi (75B pp) brings you to Long Beach. Probably one of the most idyllic pieces of land you will see in your life. A small drip of white sand surrounded by crystal clear waters full of marine life. In the background big neighbour island Ko Adang rises up while you enjoy sunset on Sunset beach or sunrise on Sunrise beach with a Chang or a Spy (Thai breezer) in your hand. Unfortunately, if people can make money, they go for it. Especially in Thailand. On Koh Lipe this results in cutting down trees and placing hotels everywhere possible (which on flat Koh Lipe ís everywhere). Still, with plenty of beach and water, you will not be too much bothered by other tourists on the beach. If you feel like shopping, having dinner or a drink, there’s the ‘walking street’, which is a cosy promenade. Avoid Pattaya beach, which is the nicest beach, but also crazy busy with busboats dropping massive groups of tourist for a one day visit. We stayed in Gipsy Resort, which I can recommend. 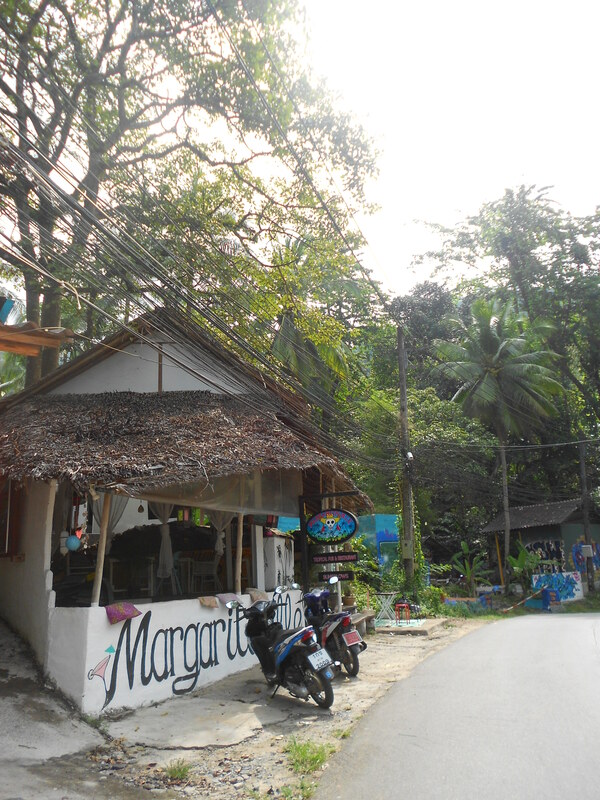 On Koh Lipe I liked the choice in eateries and also the nice beach to relax. 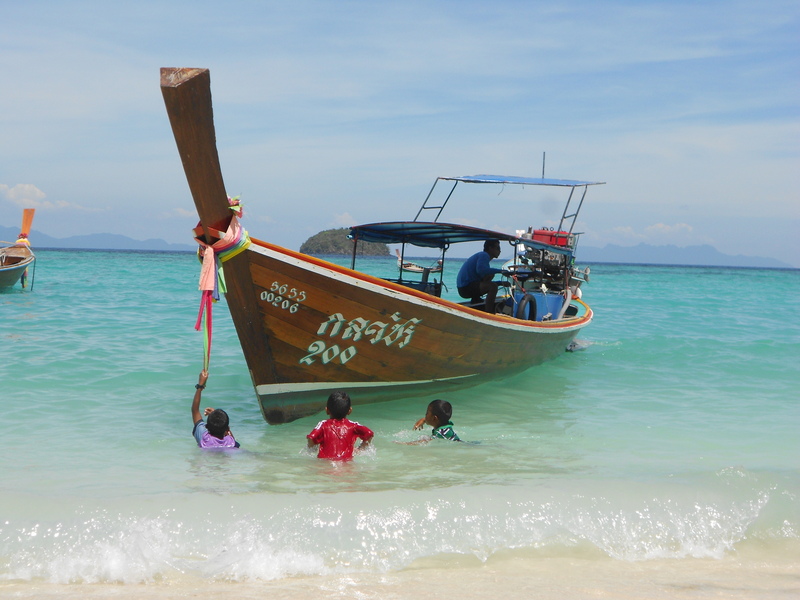 From Koh Lanta to Koh Lipe, there are two main options: by land (1200B) or by ferry (1450B). We booked an organised transfer by land. It took quite the whole day with several changes of cars but it was ok to me. Be prepared to pay an additional fee of 70B pp when arriving at the island. 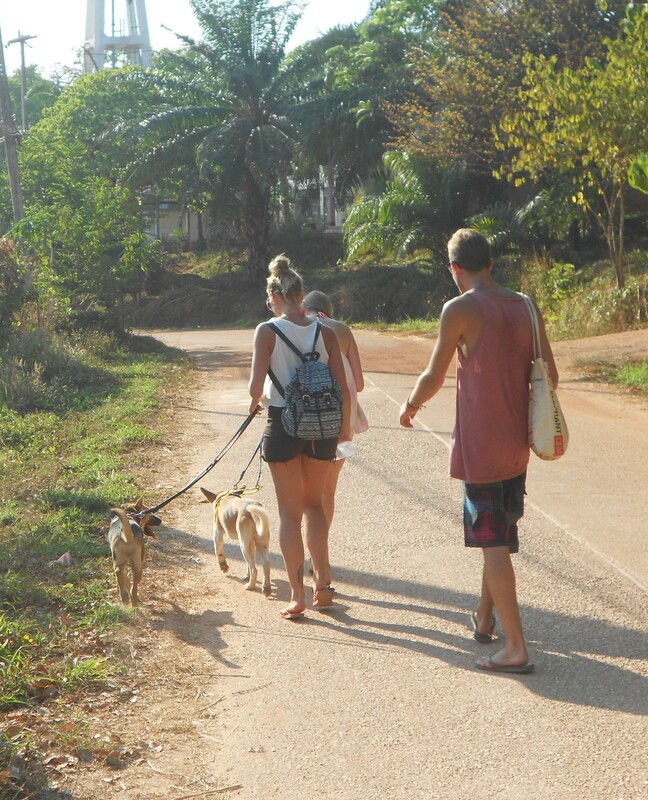 With some time to kill before heading to Phiphi island, we decided to bring a visit to much less known island Koh Yao Noi. This friendly quite place has everything what her more popular neighbours have, but all in a far less amount. So nothing here stands out , except for – and not to mis- stunning views over the sea filled with lime stone rocks. I enjoyed two days on the most touristy eastern shore. Beaches are almost empty and you can scooter around without bumping in to more than a handful other tourists. Still, there’s enough to entertain you with about 5 (souvenir) shops and 10 restaurants. 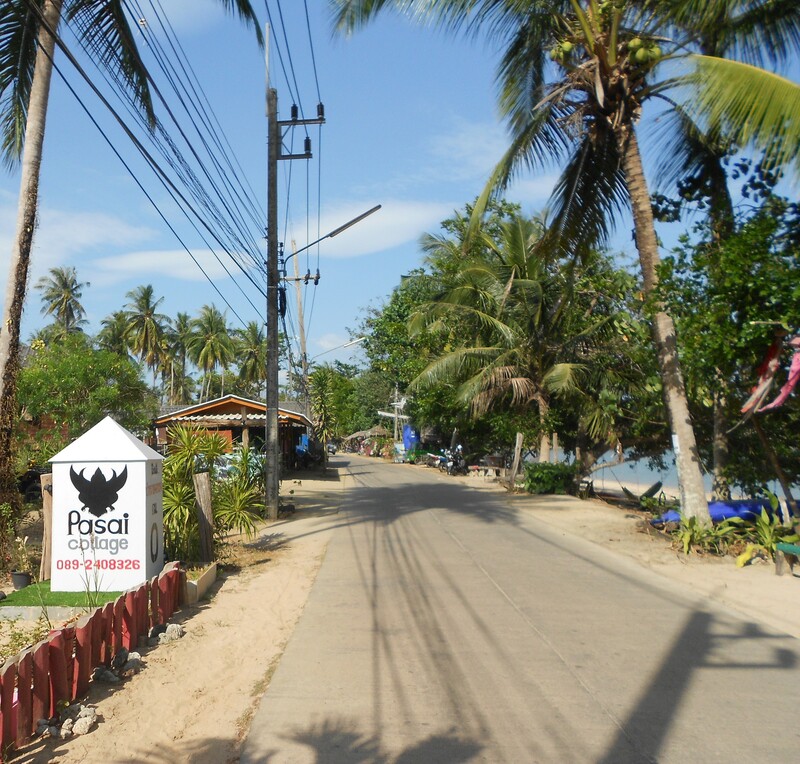 If you rent a motorbike (200 B/day – no hassle with handing in a passport) , you will find more restaurants and beaches around the corner. 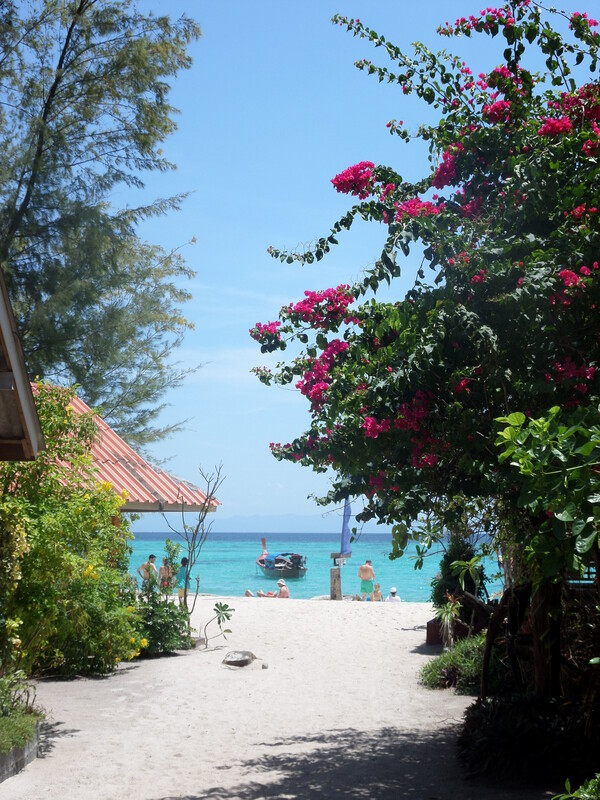 Klong Jak beach has the most beautiful views, Pasai Beach the best sand. There are not that many good budget places, but try to stay at Pasai Cottage. Would I recommend it? If you have spare time, definitely. But not instead of the islands mentioned above. Most ferry’s leave from Phuket island to the Koh Yao islands. Coming from the North, you can take the ferry from the pier Tha Dan in Phang-Nga every day at 13:00. Price should be 200B pp, be careful not getting ripped of. Duration: 1hr 15mins. 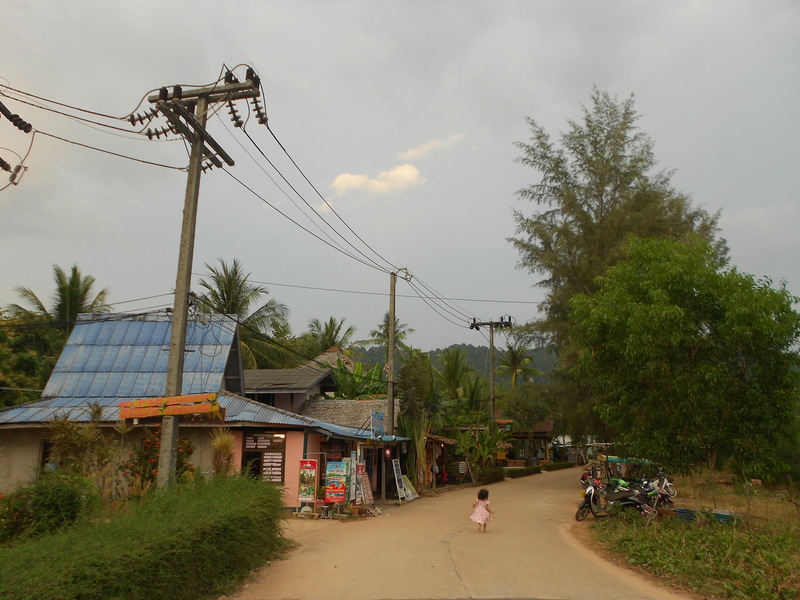 You will be dropped at the western shore of Koh Yao Noi, from here you can take a taxi for 100B pp (fixed prices). Travelling from Khao Sok National Park, a minibus can bring you to Phang-Nga bus terminal for 250 B/pp. From the Bus Terminal to the pier, a taxi costs 75B/pp (negotiate).